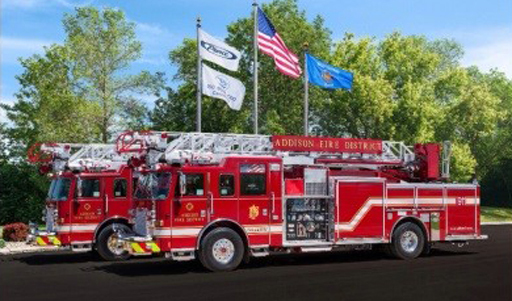 The Addison Fire Protection District is dedicated to providing the finest professional fire suppression, medical, rescue, and non-emergency services to everyone we serve. Everyone should know CPR & First Aid. Addison FPD teaches classes regularly. Sign up for a class today. The Addison Fire Protection District operates a variety of vehicles in order to meet the needs of the community. Learn more about our apparatus. 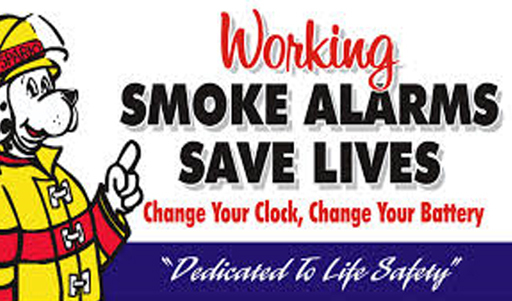 The goal of the Addison Fire Protection District is to have working smoke detectors in every home. Please learn about this FREE program. The Addison Fire Protection District operates a variety of programs to help keep our community safe. A safe community is an informed community. 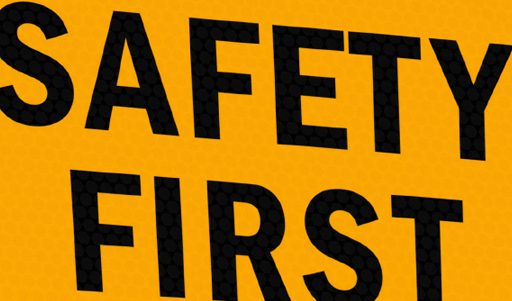 Please take the time to review these Safety Tips with your family. 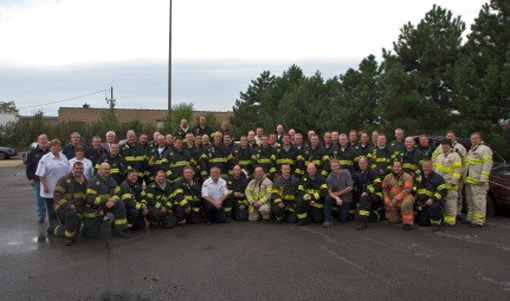 Meet those who serve their public and provide exceptional all hazards emergency and non-emergency services through the AFPD. 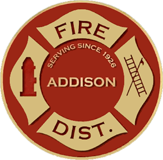 Take a moment to explore and learn more about the Addison Fire Protection District. Professional Fire Protection to the Village of Addison and the surrounding unincorporated areas. The Addison Fire Protection District is an all hazards emergency services organization proudly providing fire, medical, rescue & safety educational services to the Village of Addison and the unincorporated areas surrounding the Village. Initially formed as the Addison Volunteer Fire Department on March 17th, 1925, the volunteer fire department became a fire protection district on February 27th, 1946. Today, the Addison Fire Protection District resides in three fire stations professionally staffed with full-time cross trained firefighter-paramedics. Emergency services are primarily provided via three paramedic equipped quint fire vehicles capable of performing the multiple roles of a fire engine, a ladder truck and rescue squad. Three advanced life support ambulances provide paramedic services and transports to area hospitals. We proudly maintain a Public Protection Classification of 2 from the Insurance Services Office (ISO). To learn more about Public Protection Classifications and ISO click here. We invite you to explore our website to learn more about the Addison Fire Protection District and the services we provide to those who visit Addison, work in Addison or call Addison their home.